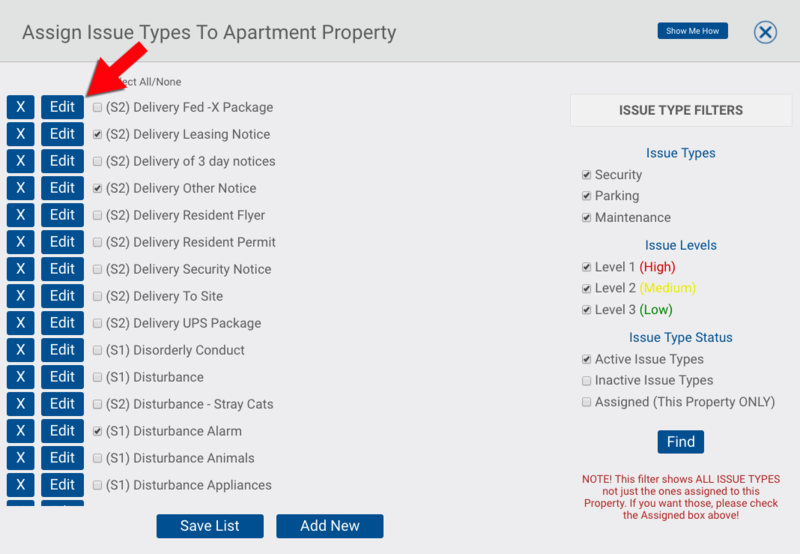 To edit or delete an existing issue type, open the Issue Types menu. 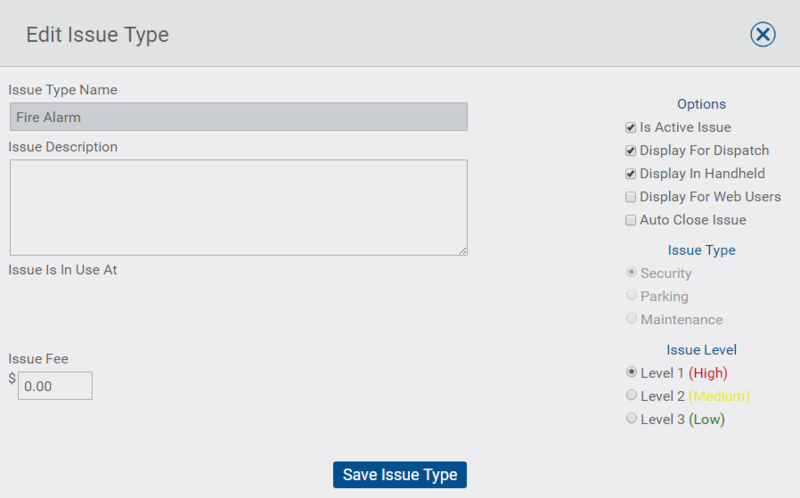 Select the issue type you wish to edit, make the desired changes and then click Save Issue Type to save the changes made. To remove an issue from your system, uncheck the Is Active Issue box in the upper right hand corner and click save.